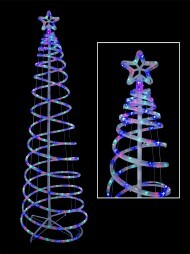 Decorate your front yard or lawn with a captivating LED Christmas tree in spiral, cone, and non - traditional shapes. 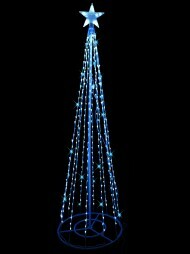 The light tree adds a modern and refined twist to the iconic emblem of holiday decorating tradition. Whether you’re replacing the usual evergreen or simply extending the tree image to the your home’s exterior, rest assured knowing that your LED tree will stand the test of time without the need for maintenance. Eliminate the routine of watering, pruning, or hanging ornaments while enjoying a dynamic lit - up display in classic single shade or multicolour designs. Complete your outdoor holiday displays with an eye - catching arrangement of lights and add your LED Christmas tree and the centerpiece. 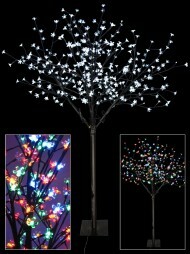 As the crown jewel of outdoor light decorations, this item will draw admiration from neighbors, family, and those passing by. Adding an outdoor tree allows viewers to partake in the holiday tree excitement that is often relegated to indoor use only. Choose between spiral light arrangements, straight side cones, or elegant shapes designed to look like natural (and magical) holiday trees. For those who are allergic to Christmas trees, a traditional evergreen is simply not an option. 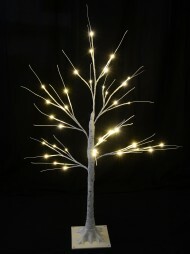 For this reason, LED trees can also be a wise investment for you’re your indoor Christmas decorating. Enjoying your holiday means spending quality time with family and relaxing without the irritation of constant itching and sneezing. But just because you’re allergic shouldn’t mean you can’t stack your gifts by the tree; the light - up LED Christmas tree can be a fun and playful alternative to the natural tree and allows you to partake in the fun holiday traditions of Christmas day. 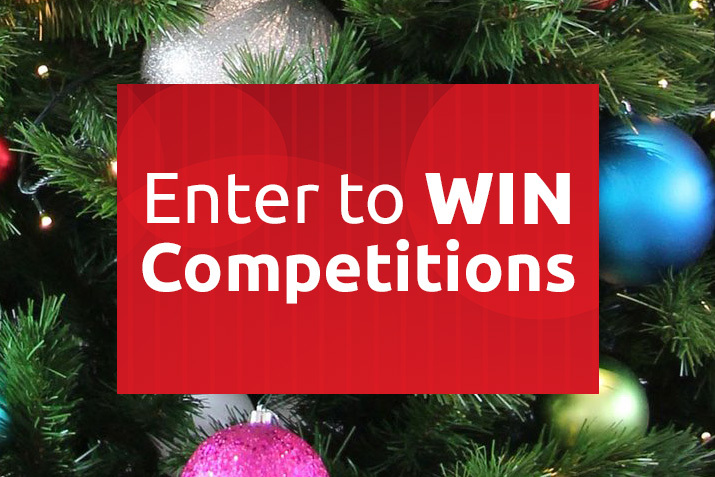 The best aspect of an LED Christmas tree is that it requires virtually no maintenance. You can forget about watering the tree, re - adjusting the tree stand, pruning unsightly branches, placing the tree topper, and fixing ornament arrangements. While some of us take pride in the hard work involved with setting up your holiday tree, other find the simplicity of setting up and caring for the LED Christmas tree much more suitable to their busy lifestyle and growing list of holiday chores. When it comes to the busiest time of the year, sometimes it’s more important to rest, recharge, and enjoy the company of others than it is to spend hours hunting for (and decorating) the perfect tree. With Christmas comes hours of obligatory shopping, last - minute dinner preparations, cookie baking, and a number of other fun holiday traditions that demand your time and energy. As such, you should tailor your holiday to the needs of you and your family by taking joy in time spent together on festive and enjoyable tasks. If that means cutting out the usual hustle and bustle of the Christmas tree, then turn to the simple set - up of the LED holiday light tree display. Setting up the LED Christmas tree is as easy as removing its packaging, extending the piece, and plugging in the base to illuminate a string of perfectly placed lights. 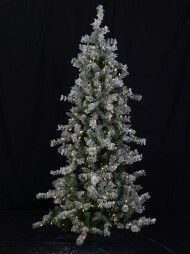 Once your tree is standing, there’s no need of reinforcement, rearranging of lights, or placing the topper. 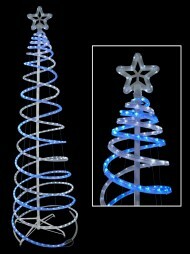 Each traditionally shaped LED Christmas tree comes with a pre - attached lighted star tree topper. This means you can avoid dangerous balancing and prickly topper installation while skipping right to the enjoyment phase. Stand back and relish in the warm twinkling lights of your hassle - free LED display while neighbors sweat over extensive ornament collections and optimal placement. When you’ve fully enjoyed the holidays and are ready to take down your LED Christmas tree for the year, it’s easy to collapse and store in a closet, basement, or attic space to keep on hand for next year. Its durable construction and reusable design adds longevity to the tree, making it a wise investment in preserving your effortless holiday routine. 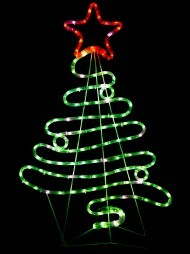 The LED Christmas tree continues to serve as an easy solution to the hustle and bustle of holiday decorating.